As a medical doctor in Melbourne, it’s normal to find yourself stressed with trying to balance the performance of your profession and the management of your business─ especially since your practice is both. 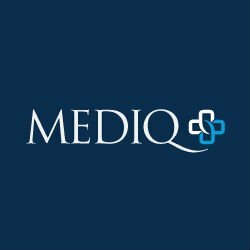 In this crisis, you should look into hiring reputable medical accountants from Melbourne firms like MEDIQ Financial; otherwise you might find yourself making mistakes that will warrant you a tax audit. In any case, you should be sure not to commit any of the following mistakes: Writing off personal expenses as business To avoid getting tangled into this mess, it’s best to list which is which before you file your returns. Your travel expenses, for instance, could be either depending on the nature of how you incurred them. So to keep yourself and the ATO from getting confused (and the latter from knocking on your doorstep to find out for sure), identify and classify each expenditure. This entry was posted on Saturday, 11 October 2014. You can follow any responses to this entry through the RSS 2.0. You can leave a response.